Featuring Vika Adutova, Michael Borowski, Andrew Russel Coates, Marianne Dages, Barbara Diener, Gregg Evans, Adam Forrester, Joe Gutowski, Lauren Hermele, Julie Renée Jones, Ceci Cole Mcinturff, Jordan Rathus, David Rodriguez, Bailey Scieszka, and Yi Yunyi. Reading Room at 47 Bergen Street including artist books by Ani Katz, Elaine Miller, Yeinier Gonzalez and Jay Turner Frey Seawell. Click here to view a photo gallery from the Opening of Facts and Fictions. Recession Art is pleased to present our spring 2013 group show at the Invisible Dog Art Center, Facts and Fictions. Curated by Founder and Art Director Ani Katz and Sara Winston, Facts and Fictions explores themes of fiction, narrative, storytelling, and the tension between what is true and what is real. No photograph is ever true. In a photograph, your friend is no longer your friend; he is a pattern of light and shadow and geometry on a piece of paper or a screen, and nothing about him exists beyond the discrete parcel of time in which you made the exposure. There is a fiction in every photograph.The same can be said of all visual and written media that engage with stories. Even the most objective recording of events is filtered through an individual’s point of view into a subjective narrative. However, just because something isn’t true doesn’t mean it can’t be real. The facts of observation can be described in ways that share a kinship with the fabric of lived experience, yet surprise us with the array of their fictional articulations. The artists of Facts and Fictions show how art can make us see and believe in ways that have nothing to do with truth. Recession Art presents Sarah Maxfield’s In and Out of Uniform and the artists of Facts and Fictions for a one night only film screening. The following films will be screened on a continuous loop throughout the evening, beginning with In and Out of Uniform at 7pm and repeating every 30 minutes. Originally presented as a live event at the Museum of Arts and Design, In and out of Uniform is an improvisational score by Sarah Maxfield, which investigates the histories contained by the body in uniform. This video version of the piece was created from archival footage of the live performance, edited by Maya Ciarrocchi. Performers interpreting the score in this iteration include Jodi Bender, Laurie Berg, Peggy Cheng, Rebecca Davis, Carolyn Hall, Aaron Mattocks, Tara O’Con, Jessica Ray, Anna Sperber, Jillian Sweeney, Maggie Thom, David Thomson, Arturo Vidich, Emily Wexler, and Enrico D. Wey. The piece deals with issues of desire within portraiture, taking a fleeting interaction between photographer and subject and extending it to create an experience somewhere between motion and stasis, dominance and submission. 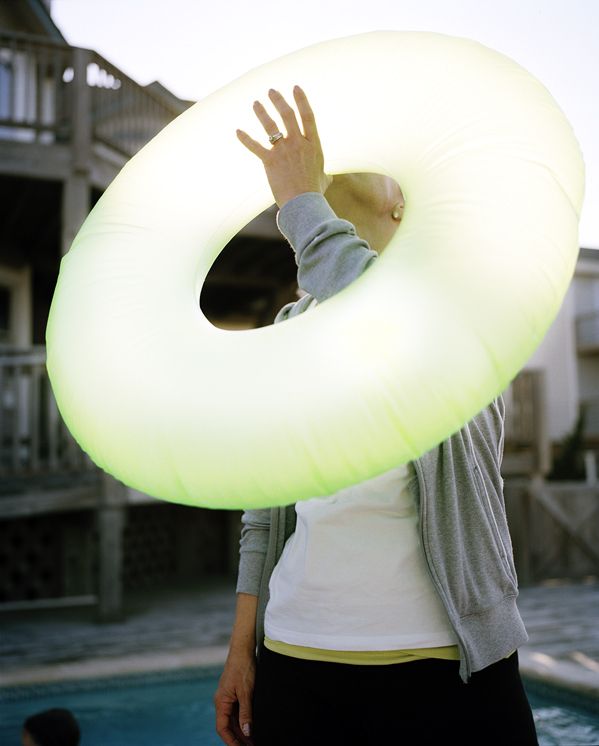 Gregg Evans is a photographer based in Chicago, IL. He holds an MFA in Photography from Columbia College Chicago, and a BFA in Photography from S.U.N.Y. Purchase. He likes My Bloody Valentine, the new Justin Timberlake record, and Italian ices in the summer. These short and distinct filmed performances capture Rathus’ exploration of the triangulation of self, nature, and camera. These works were created during her 2012 residency at Ox-Bow. Jordan Rathus’ videos navigate the spaces between fact and fiction and humor and drama. By re-contextualizing popular moving image formats such as narrative film and reality television, she explores the complexities of capturing and creating realities in relation to the construction of on-camera identities. Gutwoski’s video work is an attempt to uncover the duality of objects that exist in the daily experience of life. The scenes that inspire him are rooted in real world experience. He photographs events and through the process of editing, along with the application of digital software, he explores the alternative reality that best expresses his aesthetical point of view.